Thankyou all for taking time to visit our donation page. We are raising funds for twins Oliver and Evie who tragically lost their mommy less than 48 hours after they were born. Sophie, 19, was so excited to become a mommy after being told she may struggle to have children . 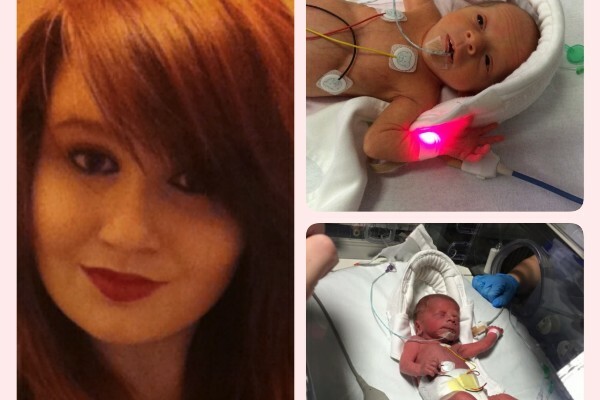 The twins were born 9 weeks prematurely weighing just over 3lb each and are currently still in the neonatal unit. We hope to raise money in Sophie's memory so that their dad Alex can use this towards items they may need or to put in a trust fund for the twins as we all know how expensive looking after children can be. Sophie's family and Alex would like to say a huge thankyou to everyone that has donated so far, they are amazed by everyone generosity. Wht a shame,heart goes out to her family. Unser aufrichtiges Mitgefühl und alles erdenklich Gute für die Kinder. Wir haben selber Zwillinge und hatten auch Komplikationen bei der Geburt. Aber nicht so tragisch wie bei Ihnen. Wir wünschen Ihnen viel Kraft und den Glauben diese Situation so gut es geht zu meistern. Auch wenn es alle Kraft der Welt kostet...Sie schaffen das. Und noch eins...Sie sind für Ihre zwei Kleinen der beste Vater der Welt.